A personal history and a detailed consultation with the doctor is the first step to understanding your condition. Spinal screening tests as well as other evaluations will be performed. 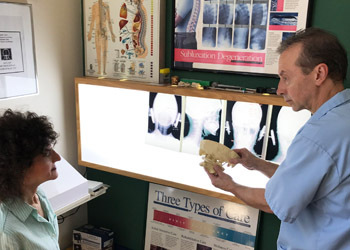 If the tests indicate that there is a spinal misalignment in the upper cervical region, then specialized upper cervical x-rays and area of complaint will be taken and reviewed. 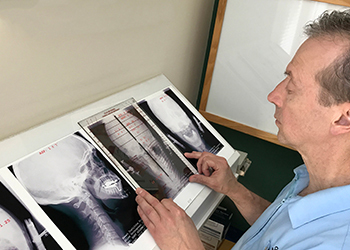 After the x-rays are reviewed, there will be an explanation of the examination and x-ray findings. 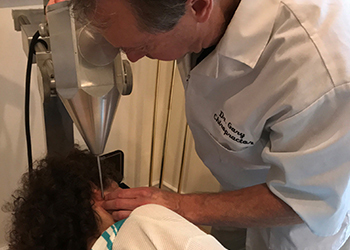 Recommendations for treatment will be explained and Dr. Gary Golembiewski will perform the first cervical adjustment. Follow up care will be discussed based on your individual needs. “The length of time it takes to correct these abnormal conditions depends on how long they have existed and their severity”. “Regular care helps safeguard previous treatments and prevents future problems”.